Booking a ferry to Tunisia is simple, easy and safe with AFerry, just use the booking form above to get a price. The most popular route is Palermo to Tunis. The average price this month for this route is £77.50 for a car and two people each way. 30% Discount on return bookings to Tunisia with GNV! Book by 30/04/2019. Travel from 05/05/2019 to 09/06/2019. Limited availability, book soon. Routes: Genoa-Tunis, Civitavecchia-Tunis, Palermo-Tunis. Booking a ferry to or from Tunisia couldn't be easier with AFerry. You can either use the booking form at the top left of the page. Or, if you see a price you like on the left, just select the number of passengers and click go. Tunisia is fast becoming a popular tourist destination, attracting increasing numbers of visitors each year to its white sandy beaches and exotic culture and architecture. Popular beach resorts include Hammamet, Sousse and Jerba. As well as exploring the coastal sand, voyages into the desert are popular and a growing sector of the tourist industry. Whether you are staying in Tunis, Mahdia, the Carthage Coast, or anywhere else in Tunisia, you are bound to experience the wonderful culture and climate Tunisia has to offer. Remember that with AFerry, you are always getting the latest and greatest offers available. Tunisia has a warm, Mediterranea climate, with mild winters and hot summers. 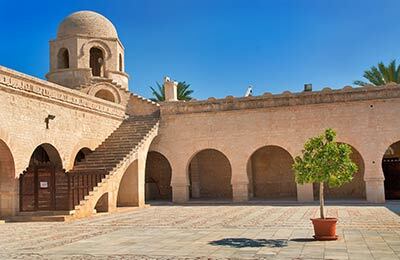 You can experience the French influence on Tunisia in the culture and cuisine of the country and Arab influences can be seen in the ornate architecture. 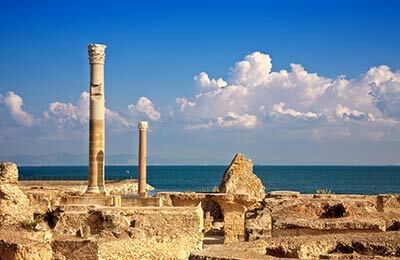 Tunisia also boasts a wealth of archaeological sites, including the famous Roman Carthage. As with many Arab countries, the decision to use a car to get around is a brave one. Although the roads in Tunisia are approaching European standard, the driving on them is definitely not (unless one classifies European standard as the driving seen in the centre of Rome at Friday night rush hour). Driving is aggressive, dangerous and the only method of indication is the horn. Your best bet is probably to avoid using a car. The best way to travel long distance is through using the train network, which is relatively good. The cheapest way to use these railways is through buying a carte bleue which allows you to travel around on all short and medium haul journeys. Long haul requires a reservation a week in advance, which costs a nominal fee. 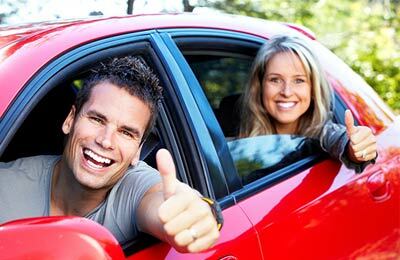 Around cities, you can either use taxis, which are generally safe and problem free providing you agree your fair in advance, or choose to go by louage. These vehicles are a cross between a bus and a taxi. They travel for 8 passengers, departing when they have 8 passengers, and cost a fixed fare. The quality of driving may however leave you feeling a bit white-knuckled. Tunisia is becoming justifiably famous for its beaches. These are generally clean, white and not too crowded. It is always worth spending a little bit of effort to find that beach that is that bit off the beaten track if you want an extra element of seclusion. In other sand related activities, voyages into the desert are popular and a growing sector of the tourist industry. 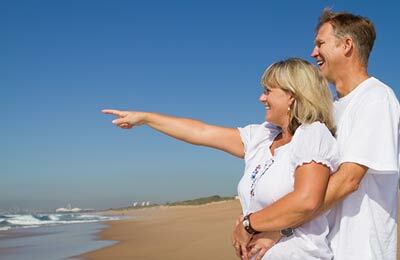 You should ask around your hotel to find the best deals for the town in which you're staying. 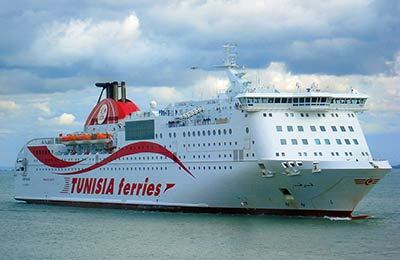 AFerry.co.uk offers the best way to find the cheapest ferry routes to Tunisia with its easy to use booking form. Begin your holiday on a ferry and start relaxing straight away! Stuff dont care about customers ,boat not clean ovaral wont use the service again . Hello, I had the worst experience ever, i had 10 hours delay each way, and my daughter was so tired and got bored therefore became sick and she doesn't want to go again. the delay affect all our journey as we travel from Uk. we are very dissapointed on everything, as much as we were excited for the holiday, this riuned everything, and bacame a very stressful time. and untill now, no one contacted us for a refund or at least a compensation for all the time we waisted and the very bad experience we had. Check in could be made a little clearer. No one tells you that you have to have your ticket stamped if you are taking a vehicle. This is to check height of vehicle is as stated. Only once your ticket is stamped can you check in at the office. Other than that a pleasant journey. We have travelled on 4 different ferries between Tunis, Italy and France and the Danielle Casanova was the best to date. Ferry was clean. Ample space outside on decks. Impressed with the external cabin for 2 people. Large window and having a TV was great.